So What About That Music in Your Yoga Class? Some Thoughts. 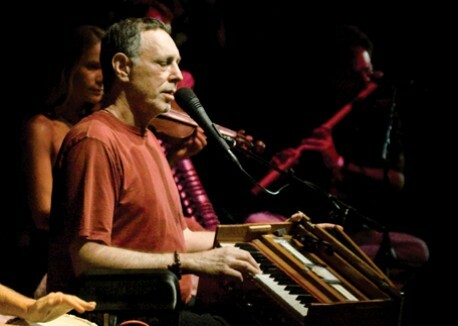 Krishna Das, an oft-heard voice in yoga playlists! If you’ve taken a class with me, you know that there’s always a playlist. It’s a big part of my weekly class planning, and I put a lot of resources into selecting songs that I think might speak to a soul, or bring a smile to a face. I love the juxtaposition of music from different genres and the way that a lyric can surprise you when heard in a different venue. I’ve found lessons in the songs themselves, sometimes, and it’s fun to theme classes in that way. There are lots of challenges that go along with playlists. Sometimes I may have to detour or go off-course with the “planned” sequence- and the music just becomes inappropriate. Or the students that show up may not be the ideal audience for the list you’d planned. Even worse: sometimes the playlist just doesn’t “gel” with the class. Not to mention that the iPod may go dead unexpectedly, or you have the dang thing on shuffle, or you turned on “repeat” and the same Maneesh De Moor song has been playing for the last TWENTY minutes (“Jeez, this is a long song…”). Whoops. And don’t get me started on the @$%$@ volume. There are also issues of taste, age, and religion to take into consideration. I have a lot of Hindu-inspired music that I really love. I also have a few that are, if you listen carefully, Christian in message. And although I believe you can enjoy my classes regardless of your religion, if you catch the wrong person on the wrong day, you may just turn them off to what should be an amazing experience. I played Tom Jones’ “You Can Leave Your Hat On” the other day in class, just for fun, and it made me a bit nervous. Really! Have you listened to those lyrics? No more Tom Jones. I can’t take the stress. The truth is, sometimes I’d really rather not play any music at all. Or, I’d rather it be so neutral and low-key that it’s almost white noise. There are moments in any practice- a quiet forward fold, a juicy twist- where the music of your breath, and the breath of those around you- is like a hushed symphony. Imagine Tom Jones bleating “Baby, take off your shoes!” just then. I’m cringing. Yoga Spy wrote a great article a few years ago outlining the “trouble” with music in a yoga class. If you have a minute, it’s worth a read, but it essentially comes down to the author’s closing argument. “Yoga,” she says, “is meant to wean us from the sensory pleasures. Can we align pratyahara, withdrawal of the senses, with that oh-so-cool class playlist?” In a follow-up post, she suggests that music can be a way of disassociating from the physical or mental strain of a challenging asana practice. Ouch. One of the most beautiful “side effects” of yoga is that it teaches you to tune in, to be present to your experience. To learn to live with discomfort. To learn to recognize grasping and aversion, to understand impermanence. Lessons on the mat seep into your daily life until you can’t help but change your way of reacting to the world. How can one be open to the still voice within if Tom Jones, or Pearl Jam, or even Krishna Das is filling the doors of perception? I couldn’t agree more with Maty, or with Yoga Spy. And yet, here I am- playing music in my classes. Have I sold myself out? Do I just want to be a popular teacher? I’m choosing to believe that there is more to me than that. For my own practice at home- I don’t use music. But as a teacher, I want to bring as many people as I can into the yoga community. I believe that even with the sometimes-nuisance of music in a class, students can experience the benefits of yoga- not just the physical benefits, like increased flexibility, lowered stress, or a cuter booty, but the mental and (yes, I’m going to say it) spiritual aspects as well. A skillful teacher (which I hope to someday be) can guide her students in this direction, if they want to hear the message. It’s crucial, though, that the music not be intrusive, or jarring, or distracting. It should be appropriate, not too loud, and not offensive. Yeah, I have fallen down on these a few times- but I’m not ready to let go of the music. Not as long as it gives people a reason to enjoy class. The other benefits will seep in, regardless. And lest I sound too gloomy, darnit, music doesn’t have to be just a necessary evil. Good music can be poetry, a tonic for your troubled soul. When choosing playlists, I look for positive messages- or songs that express the human experience- or songs that I can relate to a dharma talk. It sounds a bit grandiose when I put it into words, but I really do my humble best to create an experience for the class. So that’s my official sort of on-the-fence position on the music in yoga class issue. As we know, though- things are impermanent. Ask me again in a year, and let’s see where I stand. What’s your take on music in yoga classes? Love it? Hate it? Picky about the genre? I’d love to hear some opinions. This entry was posted in Music and tagged music in yoga class, should i play music in yoga class, should there be music in yoga class, yoga class playlist, yoga music, yoga playlist, yoga playlists on July 29, 2012 by laurasana. Laura, I wish I was as articulate as you but here goes. I will continue to go to your classes if you play music or not because I know that you are a great teacher and the music played or not played is really not that big of a deal to me. But since you asked, I prefer no music or as you stated white noise music. Without the music, your voice is my music to which I visualize my body doing the poses. With the music, I find myself trying to tune it out or saying to myself during the class, this is a good lesson in not letting your surroundings get in your way. Ask me again in a year and let’s see where I stand! Thanks Leslie, you’re beautifully articulate! I so much appreciate your reading and your kind words! I don’t know that “great teacher” is something I will ever be able to call myself but I know that I love teaching. I’m glad to get the perspective from someone else in the room. I’ll keep working to find the perfect balance so we can really hear the breath and have our own experience. Thank you for practicing with me, and for taking the time to respond so thoughtfully. I love the music you play. To me, it is more “background”…I know it is there, but only really notice just exactly what is playing momentarily, then it fades out of the foreground and just becomes part of the movement. Sometimes though, it is such a perfect fit for where we are…like “Comfortably Numb” playing as we began Savasana! Thanks Debi! I’m so glad to get feedback. As someone mentioned to me the other day, music in class is a completely subjective experience for each listener- I’m glad to hear it’s working for you. I really appreciate your taking the time to write! Laura, I love it…..”juxtaposition”. Well stimulated thoughts. Music is an art form whose medium is sound and silence. For me, words in music trigger more of what’s next which makes us form thoughts. Yoga, I feel should be “within” so be “without” words. Nature gives us some of the best sounds, the ocean, the birds, the waves, the trees, the wind, even fire has sound…yoga sounds! Yanni is one of my favorite artists. He uses the sounds of nature to create many of his masterpieces. The sounds and silence in the studio air certainly set the aura and it is your directional planning that invites us back in. You are on your way….the journey has begun, enjoy every vibration. Thank you for the thoughts. Tim- thanks so much for your beautiful reply. I love the idea of using nature sounds as “music.” Such a pleasure to hear from you! I enjoy soft classical music, nature sounds, Indian drums. Music that creates a shift in my thoughts and allows me to go deeper inside and by doing so making my practice more of a meditation. Everything has a balance, including music. When I teach I stick pretty much to background type music…Canyon Trilogy,Zen,Devi But, I’m alot older than you. There’s a place for everything in yoga and it’s really a feeling that your trying to create, like in your Moon class…I loved your music. Van Morrison Moon Dance, Moon River it was great! Gina- nobody but you would ever know you’re older than me 😉 I love the idea that there is a place for everything in yoga… ! The music does not matter as you are an AMAZING teacher who gives so much to make sure everyone is comfortable and welcome I really enjoy your class and can’t wait to the next one! Thank you so much !